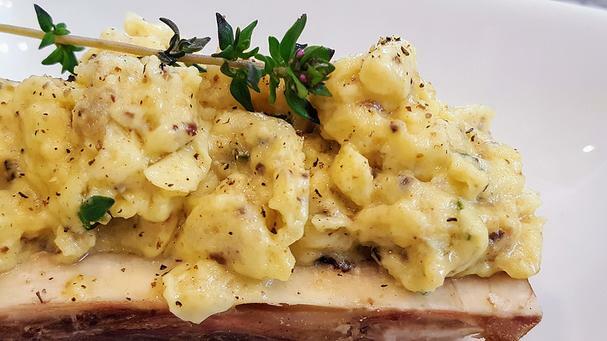 Adding roasted bone marrow to scrambled eggs isn’t something you’d normally think to add. 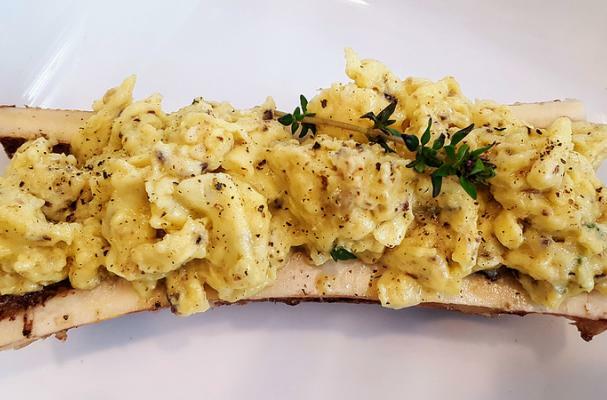 But bone marrow, even just a little, has wonderful health benefits and lends a luxurious creaminess to scrambled eggs. Bone marrow is one of the few natural sources of vitamin K, an essential nutrient that helps build bones, fight cancer, prevent heart disease, among many other benefits. There is also growing evidence that vitamin K has anti-inflammatory abilities and can help protect your brain against diseases such as Alzheimer’s and Parkinson’s. It’s also great for your teeth and gums! This deliciously decadent ketogenic egg recipe (it's also paleo-friendly) is adapted from The 30 Day Ketogenic Cleanse by Maria Emmerich. 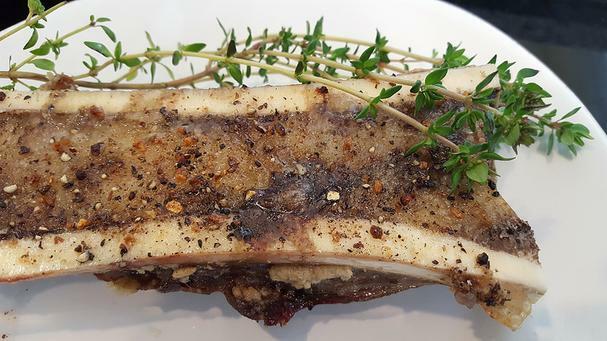 It can be difficult to find grass-fed marrow bones (and they are expensive! ), so don't worry if you can't find them. Just buy the best-quality bones you can find. Your local butcher can help you. Roast more bones than you need, as I did, and freeze the extra marrow. It's to have on hand to make more egg dishes and to add to stews and chilies.